What’s up fellow Wayfarer Wanderers? My name is Mark. I live in beautiful Portland with my four wheeled mobile companion Hütte, better known to some of you as Walter. I wanted to start off with one of my favorite quotes - "The world is a book and those who don’t travel only read one page." Born with wanderlust in my heart, this is the one liner description I use on my Instagram because I strongly believe travel is the vehicle of choice to fully live and appreciate life. I know that many of you are sitting there nodding your heads in agreement. Now this philosophy isn’t something that just came to me, but rather it first was instilled in me by my parents. In fact, by the mature age of four, my passport already donned stamps from Saudi Arabia, Germany and Liberia. Since then, I’ve been to 17 countries. Now that you know I love to travel, I have to give my brother and his friends props for turning me onto what has now become my preferred mode of travel – by van. It was on a teenage surfing trip to the outer banks of Virginia that I took my first road trip via van and I haven’t looked back since. Since that epic trek, I’ve owned three vans, clocked thousands of miles and zoomed around to countless destinations. While I liked my Nissan Homy and it had a lot of character, I trusted it as far as I could throw it. Parts were hard to come by and no one wanted to do major work on it and I knew it wasn't going to propel me on more than weekend trips within the Pacific Northwest. I needed an unstoppable rig, with a ready-made home inside! So the search started, but the cost for a “leisure travel van” left me with a dropped jaw and dollar sign withdrawals. I bet you can relate to that too. So the search continued…there had to be a better (more affordable) option. I had heard about Wayfarer Vans through some friends, and as I delved more into their ProMaster buildouts, the more I realized a Walter buildout was exactly what I needed! After just a few calls with Ian, some perusing on the Perkins Motors dealership site, I found my Walter. 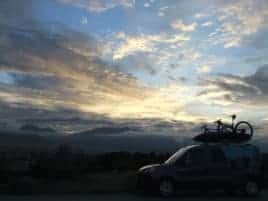 It was about two months from the time my van died to the time I flew to Colorado in Nov. 2018 to pick up my Wayfarer Van. Some could say I was having bad van-drawls when my friend Emily and I arrived at Ian’s shop. 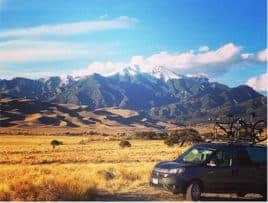 Within four days of arrival, Emily and I were back on the proverbial road kicking off our trek from Colorado through Nevada and the wilds of southeastern Oregon onto Portland. Imagine waking up to the grandeur of the Colorado National Monument’s red sandstone from the viewpoint at Saddlehorn campground on your first night in your Wayfarer van. Aside from stopping at REI to outfit with a campstove, the Walter buildout was instant van-living! In four short months, I’ve already created countless memorable trips, hitting nearly 12,000 miles and over 35 nights in my second home. Like any other true wanderlust traveler, there are two things that hands down feeds my soul. For starters, I know you will be able to relate when I say that I live for the restless jitters that build up inside before a journey begins. It’s that feeling when anxiety and anticipation get tangled together and you feel like you’re going to nearly burst. Does anyone else love that feeling? The second is a good breakfast – regardless of where I am, and that includes van camping in Hütte – I LOVE breakfast. There is something about a good, freshly prepared breakfast that helps me start the day off on the right foot. And something about the envy turned to joy when passers-by see a feast being prepared, and then invited in for a tour and a sample…instant friend-making machine! Before I got Hütte, I had this small van that I packed with a mobile stove. I couldn’t stand up in the van so I would often cook on my knees or hunched over – it wasn’t pretty, but had to be done. All I can say now is that being able to “stand up” and cook breakfast in my open air kitchen (get the double doors!!) is so underrated. Nothing beats an awesome breakfast with amazing views of nature for a little morning inspiration. As a matter of fact, it was over a huge breakfast I had prepared with friends at Mt. Baker Ski Resort in Washington that we renamed my Wayfarer Van to Hütte, a German word meaning mountain hut or cabin. It was the perfect word to describe our mobile breakfast living experience. If you’re interested, you can catch my breakfast adventures at The Wandering Tomelette on Instagram. Since getting Hütte, it’s rare you’ll find me at home on the weekends. 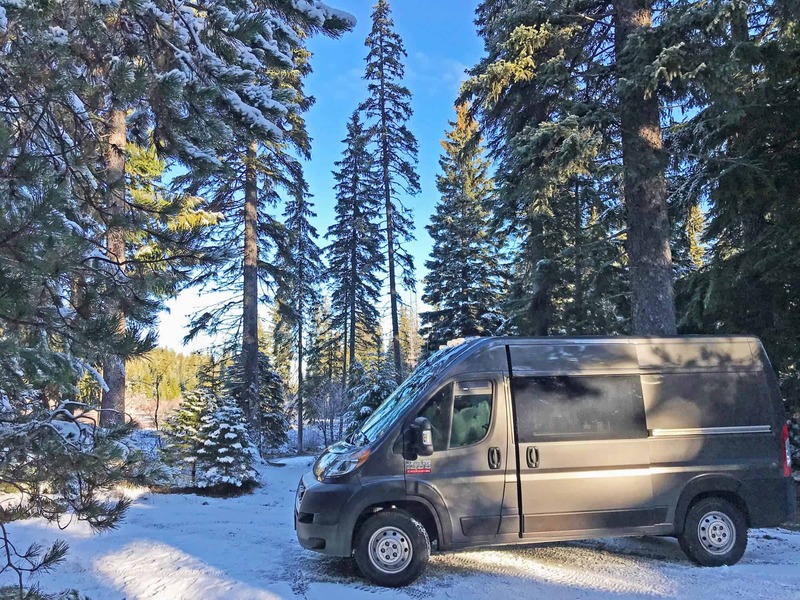 My van has taken me from Colorado to California, across the Pacific Northwest, and up to central British Columbia - skiing inbounds and backcountry, nordic skiing and exploring remote hot springs – to rattle off some of my winter adventures. While the destination is obviously one of the highlights of my trip, I love just hanging out in my van. Unlike other modes of travel, after the day’s adventures, I never feel rushed to get up and go and I enjoy just taking in the moment and the place a little longer. 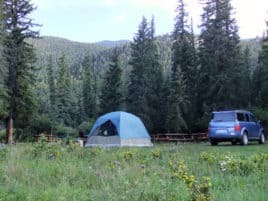 When I don’t have other weekend plans, I just jump in the van and roll up in the national forest outside Hood River, one of the adventure sports Meccas in Oregon, and camp…after all, why wake up in the city when you can make brekkie with a world class view among the trees?! As spring and summer draws near, I look forward to exploring more new spots on home turf in Oregon and Washington, especially the Oregon Coast, as well as heading to British Columbia, Idaho, Montana, and northern California for some rock climbing, mountain biking, fly-fishing, kite boarding and surfing. Here’s to an epic travel year for you and me! Happy van camping!